Dekker is a ranged caster and support hero. 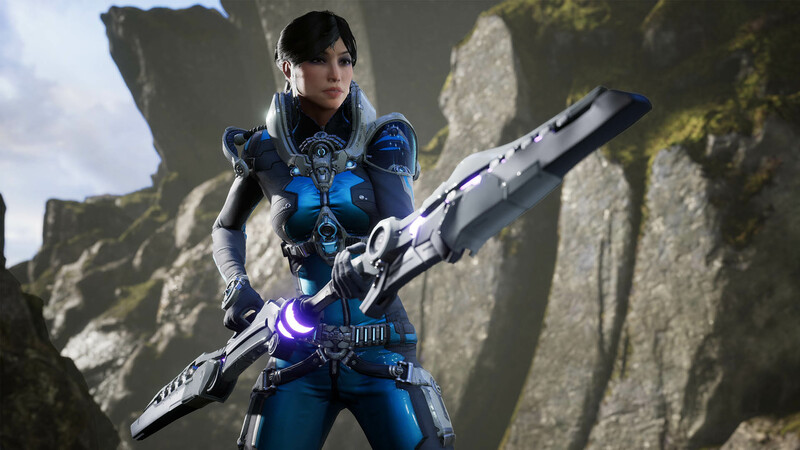 The long range of her abilities give her great lane presence and her ultimate has good synergy in team fights. She can be very squishy so don’t forget to stay behind the front line and support your team using the range on your skills. Setup kills using the stun of Stasis Bomb, followed by the slow from Slow bubble. You can use your ultimate, Containment Fence, both offensively and Defensively by either trapping enemies inside, or blocking an enemies path. Don’t forget that Containment Fence also gives a shield to any ally inside it. It may just be the key to getting those clutch kills and saves. 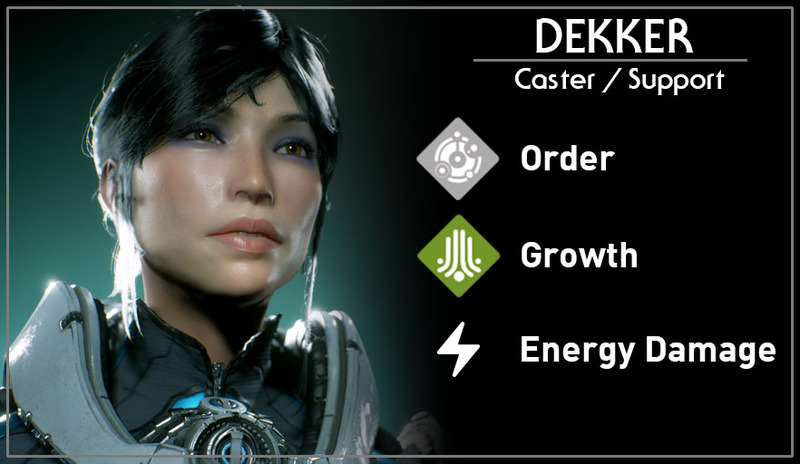 When Dekker uses an ability, she shares some of the mana used to cast the ability with nearby allies. Dekkers basic attack. Fires a medium range laser bolt from your lance. Dekker ignites her rocket boots launching her into the air and giving nearby allies a quick movement speed boost. Dekker throws out an energy ball that bounces and damages any minions it passes through. The bomb explodes when it reaches max range or collides with a hero or terrain. If the bomb collides with an enemy hero, they are stunned based on the distance the orb has traveled. Dekker creates a bubble at a target location. Enemies within the bubble are slowed. After a time the bubble will pop, dealing more damage the longer it is active. The bubble can be detonated early by re-activating the ability. Dekker erects a Containment Fence at a target location for 5 seconds, trapping both allies and enemies inside. Allies can shoot through the fence but enemies cannot. Allies within the fence are granted a shield.